There are numerous fears and doubts regarding Ashadam or Ashada Masam (June - July) especially for Telugu and Kannada speaking people. In 2019, Ashada Month begins on July 3 and ends on July 31 in Karnataka, Andhra Pradesh, and Telangana. Some married couples want to know, is it good for the wife to stay with husband in the Ashad month? The inauspicious tag attached to Ashada month is due to the fact that the Dakshinayana Punnjaykalam or Karak Sankranti begins in this month. The sun changes its courses in this month and next six months is the night time of Devas (gods), which ends with Makar Sankranti. Ashadha in Karnataka and Ashadamu in Andhra Pradesh is the fourth month in the Kannada and Telugu Calendar. People avoid undertaking auspicious events this month. Some of the reasons have scientific backing but many are based on rumors and fears. There is a tradition among certain communities in Andhra Pradesh and Karnataka in which newly married couple does not stay together in Ashadamasam. Usually, the wife stays away from her husband and returns to her home. In Tamil Nadu, the tradition is followed in Aadi Masam. This is a sort of precaution, if the wife becomes pregnant in Ashada, she will give birth in March (Chaitra). This is the hottest period in India and it is not suitable for the health of the mother and child. Today, with modern medical facilities this particular custom is not strictly followed. There are also many who believe that the daughter-in-law and the mother-in-law should not stay together in this month. There is no astrological significance to this and there is nothing to fear. And astrology should not be the guide in deciding on crucial matters relating to relationships. An individual should know what is best for him or her. Chatur Masa begins from the Ekadasi in this month. 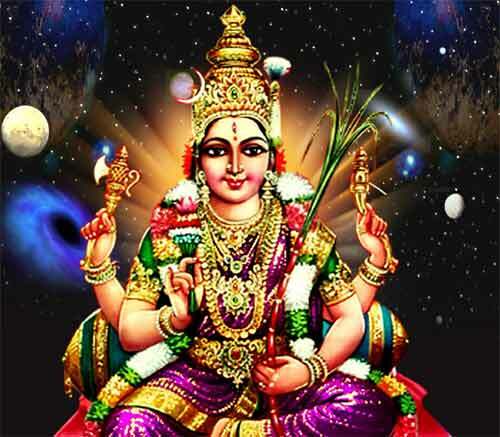 The four months start from Ashada Shukla Paksha Ekadasi to Kartik Shukla Paksha Ekadasi are dedicated to worship of the Lord. Note - Beliefs associated with Ashada Masam have no scriptural backing - they are not mentioned in Hindu holy texts. All these beliefs are man-made and are only followed by a minority in Hindu community. The majority of Hindu communities ignore such beliefs.